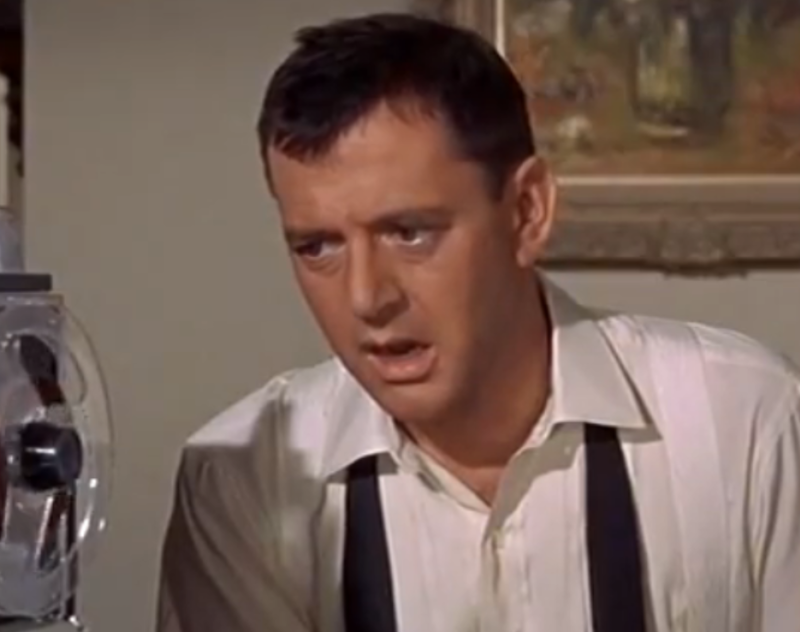 SEND ME NO FLOWERS is the fondly remembered, still amusing third act for Rock Hudson and Doris Day and their foil Tony Randall, after big hits Pillow Talk and Lover,Come Back. General consensus was/is that it’s the least of the three, though it still took in a healthy $9,000,000, ranking at #17 in 1964. It’s piffle, but the 100 minutes are mostly fun, sort of sitting on the comic cusp in that year, which saw A Hard Days Night, The Pink Panther and A Shot In The Dark moving the antics scale up a notch style-wise, while items like Kiss Me Stupid bludgeoned fluff into naughtier territory. 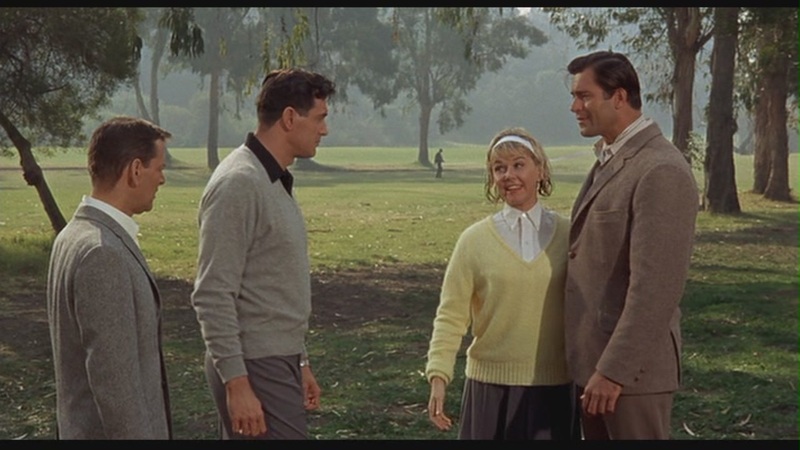 Rock & Tony meet Dee-Dees high school flame, Clint. Just as well Rock & Doris called it a ‘Day’ with this one. They’re married (nice big typical suburban movie house). He’s a hypochondriac. Thinks he’s dying and wants to set her up with a new man. Dipso buddy-next-door Tony counsels. Norman Jewison’s direction is merely competent, and Frank De Vol’s score really lays on the “waaah-waah” stuff that backed so much comedy back then. Doris has unflattering hairdos here, bouffant jobs: one critic comparing her look to that of a Pekingese. Hudson is okay, likable but not very energized (he didn’t care for it). Randall gives it his all: he’s the winning hand here. 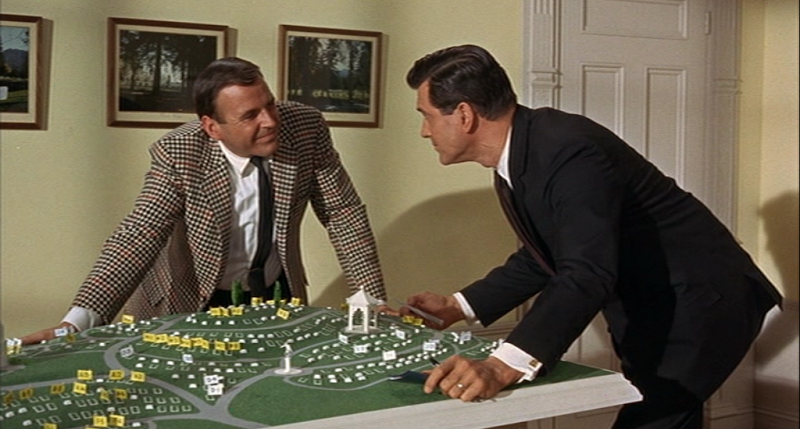 There is a very funny sequence with Paul Lynde as a cheerful funeral director, about as ‘flaming’ as the era allowed. Rock & Tony share a bed. The gay subtext in this rates fairly high. Amusing bits from Clint Walker (so massive he makes Hudson look slight) and the always welcome Edward Andrews. With Hal March, Patricia Barry and Dave Willock. I dedicate this review to my good friend Diane, a sweet and funny gal, and loving sister of my long-suffering and cute-as-Doris ex-girlfriend, Gail.